At first glance, he looked like one mean, intimidating dude. Randy Horton was all of 6'2" and 200 lbs. Add an Afro and a nice full-face beard and the native Bermudian certainly looked like someone you didn't want to deal with on the soccer field. In soccer, every little bit helps, and that includes talented strikers as well. If Horton's appearance made an opposing center back think twice about doing any rough stuff, then so be it. "It made me look like I was 6'5", much taller and I think sometimes with all my hair on my head and all that made me look like somebody that's really rough. I was really a gentle giant," Horton said with a laugh. Horton was the Cosmos' first scoring sensation, earning rookie of the year honors in 1971 before securing MVP honors in 1972, the first of the club's eight North American Soccer League championship sides. "They gave me a lot of attention, these center backs," Horton said at the NASL's 50th anniversary celebration here in October. "Some of the people in the league I grew nice relationships with, some of the guys who were actually defenders, gave me rough times, even on the field. I think that's the beauty of this game as well is that when you play the game, you don't only have relationships with players you play with, but when you play against quality players, we recognize those good players, whether they are on your team or whether against you. "The greatest thing that happened to me was when I was named most valuable player in 1972 and the reason for that was the players selected who they thought [was MVP]. My team couldn't vote for me. But all the players on the other teams could vote. They thought I was good enough. The players' respect you for what you did, the guys you play against. That was the biggest compliment that I ever had." 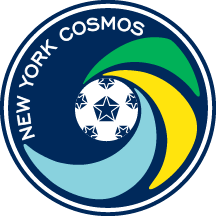 The Cosmos defeated the St. Louis Stars at Hofstra University stadium to capture the 1972 title behind a 2-1 result. Horton, who led the league in scoring that season (9 goals, 4 assists in 13 matches for a league-best 22 points). "It was huge," said Horton, who grew up playing soccer and cricket in his native Bermuda. "My team in Bermuda were perennial champions. I was used to winning. I didn't know too much about losing. So you know, when I went on the field, nothing else was on my mind. Winning was the thing. So I prepared always very, very hard to get ready for my games." 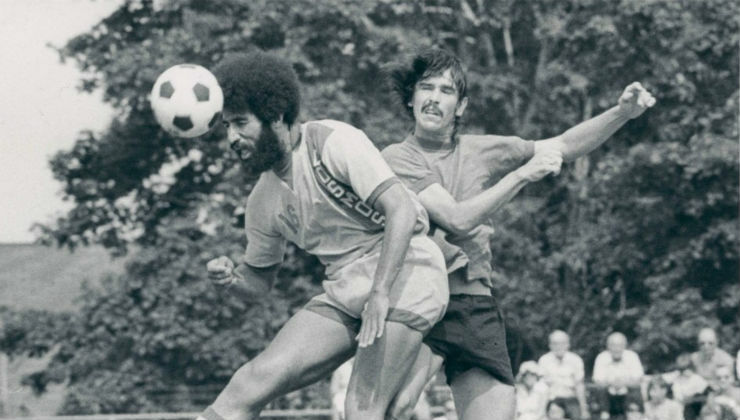 Horton, now 73, played with the Cosmos through 1974, connecting 29 times in 52 matches, before he was traded to the Washington Diplomats in 1975. He closed out his playing career with the Hartford Bicentennials the next year. He got an opportunity to catch up on some of his relationships at the NASL reunion. “It’s great,” Horton said. “There's nothing better than reunions. There's nothing better getting back to see old friends. It’s not only guys on your team, but the players you played against. They’re as important to you as even you're teammates. I am getting hugs from guys who kicked the crap out of me." After retiring, Horton's second act was quite impressive in its own right. He joined the House of Assembly of Bermuda in 1998. "When I was a kid in school I used to walk across that space in front of the House of Assembly and I looked up there and said, 'One day, I'm going to be up there.' "
Horton held several positions while serving with the Progressive Labor Party, including minister of sport, minister of the environment, minister of labor home affairs and public safety, and minister of education. In 2012, Horton became the speaker of the House until he retired in 2017. Bermuda's parliament is similar to Great Britain's government in which the House of Assembly is the lower house and the Senate is the upper house. In England, the House of Commons is the lower house and the House of Lords is the upper one. Horton is proud of his accomplishments during his two-decade career in the House. That included the Education Act when he was minister of education. He made school at Bermuda College free so all students could further their education. He also named several schools after prominent people in those communities "so that the children in the schools would get to know who these people are," he said. Needless to say, Horton also is proud of helping to plant the seeds for the future of soccer in the United States. "The groundwork was done in terms of getting young Americans particularly interested in the game," he said. "I always felt that was the biggest challenge. You were playing the sport and you didn't have the Americans playing the game. When I first started playing there weren't enough Americans playing the game. If you were going to build a fan base, basketball had theirs come through college to the NBA. Baseball and also football did the same thing. Soccer didn't have that. I think the NASL helped to build and get communities involved in the game. Today some of that work is paying off."